One of my videos was featured on Outside Magazine! The new year started off incredibly awesome! 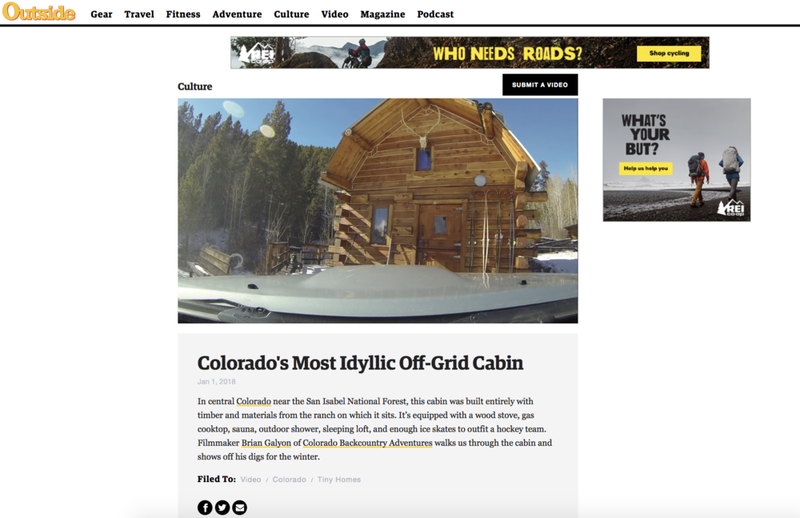 My "Move In Day At The Cabin" video was picked up by Outside Magazine and put under the culture section on their website. Great way to start 2018! How To Make A Warm Winter Shelter For Only $7.86.